Perfect size, the combination of steel and sharp edge and ability to fit inside a pocket; mobility..
Name of this knife is actually the imitation of the South African native knife used for cutting dry meat. This interesting and appealing name is in fact the courtesy of one of the main importers of South Africa who used to buy from KHHI long time back. The gentleman saw the potential of the Biltong kukri as a better and cheaper means of cutting dry meat so started ordering in massive quantity and promoted the knife in his country as the “Biltong Kukri”. Hence the name originated that exists till date. 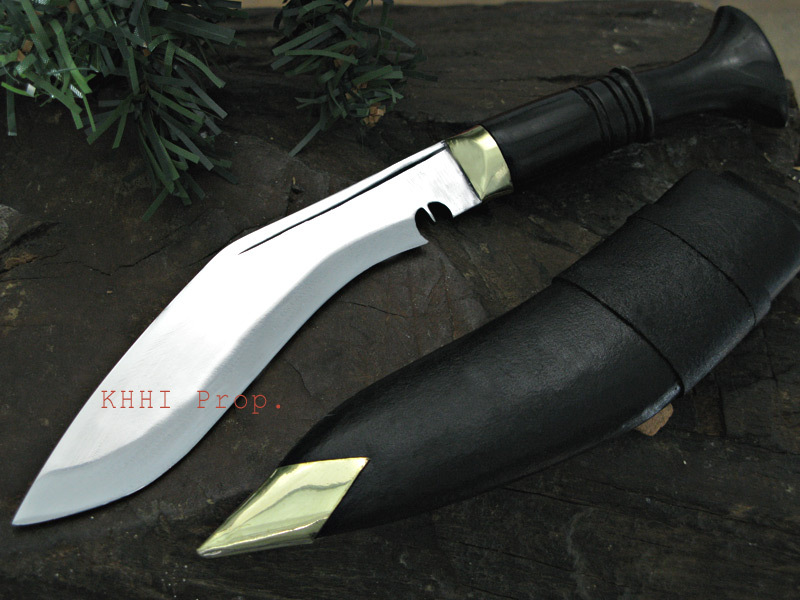 This 5 inch bladed kukri knife also instantly picked up in the local market in Nepal so KHHI also started producing for retail under the same name. Similarly, the Biltong stormed the kukri market in no time and now it’s seen being made by almost every manufacturer. 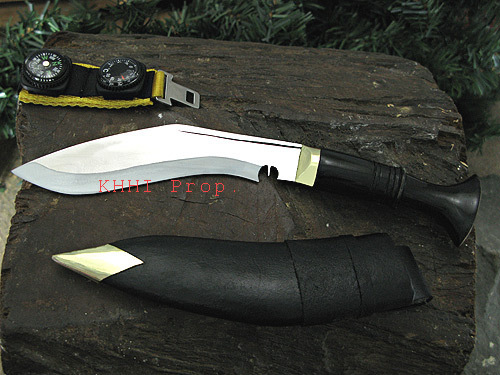 It is now known as the “Pocket Kukri”. It is because of its perfect size, the combination of steel and sharp edge and ability to fit inside a pocket; mobility, that made the knife more famous and higher on demand. It can also be used as a small cutting tool, a domestic utility knife and would come very handy in safari, trekking and for outdoors etc. Although it cannot be used for whacking due to its small size and it is made out of mild steel. It is equally good to give away as gifts and souvenirs to near and dear ones. Affordable price, handy size and more efficient in its own right makes the Biltong as one of the best sellers of all time. The shape resembles the popular shape of the standard Gurkha Issue version the “Service No.1”. Biltong has a normal buffalo hide leather scabbard and a belt loop like in the big models is replicated. Purchased 3 of these handy blades & give them to the high school graduates in my family !!! If going out for a steak dinner, drop one these in your pocket & when your cooked RIB-EYE/ PORTERHOUSE is placed infront of you, pretend the restaurants steak knife is just not cutting very well. Reach into your pocket, whip this Bad-Boy out, & start cutting bite-size morsels to enjoy. Watch the reaction of diners around you & when the server returns later -- Their eyes will open very, very, very wide with suprise !!! Howevere , Don't let the petite size of these fool you.. they are most assuredly 'Little Cutting Beasts'. -- OOORAH & SEMPER FIDELIS.